Elk have developed a number of adaptations for surviving harsh environments, and are even known to persevere after major forest disturbances such as forest fires and logging. However, a new study has revealed that elk seem to be avoiding areas hit by the bark-beetle epidemic. Across the northern portions of the Rocky Mountains in the United States, a large beetle outbreak has killed millions of trees. Researchers discovered that during the summer, elk are not returning to areas with extensive tree mortality. This behavior will greatly limit the amount of land that will be occupied by elk in the summer months. The findings will be important to many wildlife and land managers who are responsible for managing elk populations in regions that are impacted by the bark-beetle epidemic. 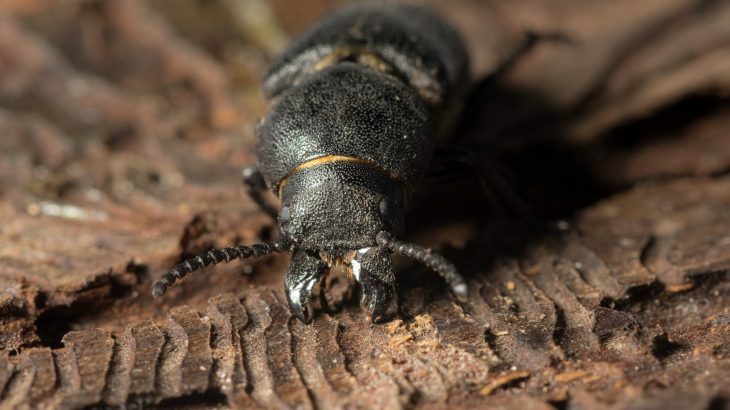 Lamont pointed out that elk examined in the study were much more influenced by the presence of downed trees and the loss of canopy cover compared to the small increases in understory found in areas affected by beetles. The study is published in the Journal of Wildlife Management.